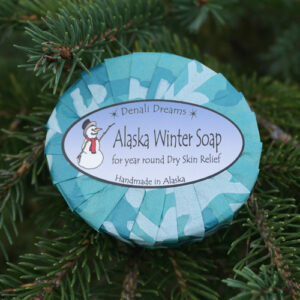 This lovely soap is named after our delicate state flower. Finely ground oats are whipped in for a gentle scrub that also helps soften skin. 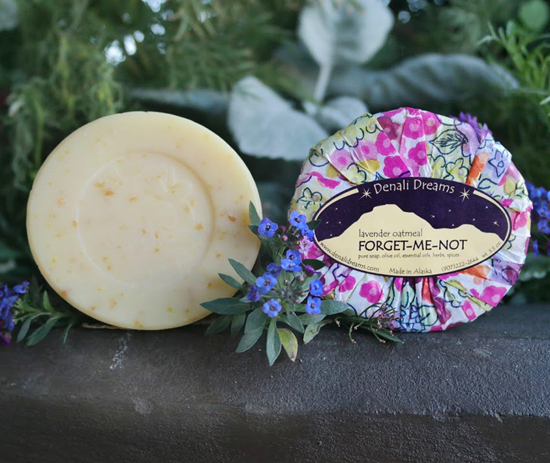 Scented with lavender essential oil and just a dash of lemongrass. 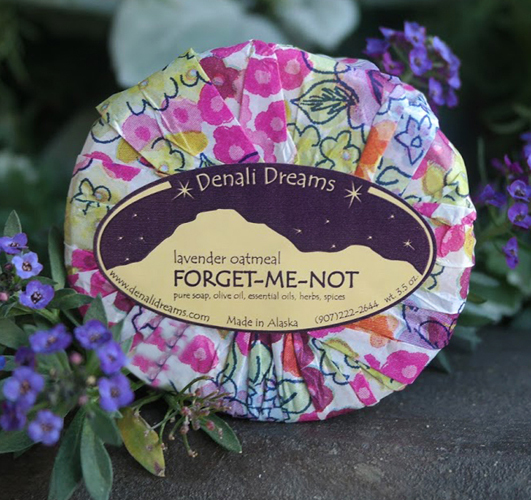 A 3.3 oz bar of Forget-Me-Not Soap. With an option on a brown oval soap lift.